Who will judge The X Factor in 2017? 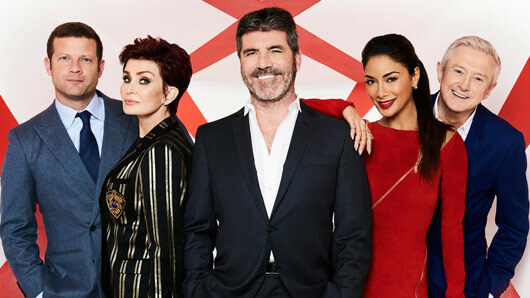 Despite the current series not even being over yet, the discussion has already begun about who will be appearing as a judge on the X Factor in 2017… and it looks as though the same four judges are all set to return next year! That’s right. Plans are already being put in place to get Nicole Scherzinger, Sharon Osbourne and Louis Walsh to make a comeback for the next series. The judges have caused complete madness on the live shows this year, with name slip-ups, last minute changes of vote and even accusations of drunken behaviour… but that’s all part of the X Factor charm, right? Let’s be honest, we all kind of secretly enjoy Sharon’s erratic character, Nicole’s love of the limelight and Louis’ predictable one-liners. And it sounds as though Simon does too. An X Factor source told The Sun newspaper today: “Simon wants all the judges back next year. Contracts haven’t been signed but negotiations are already well under way. Scherzy has also made clear her intentions of staying, confessing last weekend: “At the start of this year, I didn’t know what I’d be ­doing but you’ve got to be open in this business. Maybe I’d be open to coming back to X Factor. Speaking on the Xtra Factor on Sunday, Simon appeared to confirm he would indeed be inviting all of the judges back. Does this mean the panel will remain unchanged for the first time since the two year stretch from 2008-2010, when Cheryl Cole, Dannii Minogue, Louis and Simon all remained as judges?